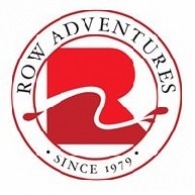 All ROW Adventures tours, river cruises, expedition cruises, and adventure trips. Find the best guided trips and expert planned vacation and holiday packages. Average rating of 5.0 for all ROW Adventures trips. Snorkel in transparent water rich with sea-life and even swim with sharks, if you dare. Experience the Nestled in a valley at the confluence of two tributaries of the Hoanib River. Explore Galapagos Amazon tour is an active trip that immerses you in the highlights of the Galapagos Islands and the Amazon rainforest. Kayak, snorkel and hike, all under your own power. This unique land-based program gets you away from the crowds to places few others see. Visit four small towns in the Galapagos Islands. Your journey is accompanied by the howls of monkeys and songs of birds. Explore small lakes, lagoons, rivers.